TV personality Chris Boodram who hosts the ChrissyB show on SKY 203, and the glamorous presenters of that channel’s DKW TV show, Nanda Bezerra, Gemma Leon, Sherene Changoo, Jennifer Mensah and Samantha Dixon led a silent march in north London last Saturday (24/11/12) in protest against the ongoing problem of domestic abuse and violence towards women. The march was organised by UCKG HelpCentre women’s group Godllywood and attracted over 200 women of all ages and ethnicities plus a few husbands and male supporters, who accompanied the TV presenters in the pouring rain. “We were all ready to brave the weather for the sake of the million British women who experience domestic violence every year and the 60,000* who are raped,” said Chris. “Our objective was to help abused women break the silence that so often surrounds domestic violence. Speaking out against all forms of abuse within the home and family is essential for real progress to be achieved,” added Nanda. The protesters attracted plenty of attention from the public on their walk from Finsbury Park to Green Lanes and back. In the afternoon over 400 people attended the follow on Break the Silence. End the Violence rally in the Rainbow Theatre. They heard Harley Street counsellor and mediation specialist Samantha de Bono talk about the full extent of abuse. She warned against the telltale signs which range from slapping to put downs in public, intimidation and death or suicide threats. Attendees also had the opportunity to see displays by the UCKG’s RAHAB (Removing All Hurt And Abuse) group, which supports victims of domestic abuse, and to meet with members of its team to discuss personal concerns and obtain help. 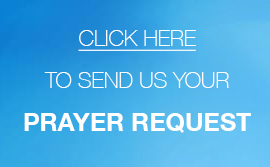 RAHAB’s help and support can be accessed via all UCKG HelpCentres in the UK. Visit uckgnew.org for a full list of locations. Godllywood supports girls and women in choosing their life values wisely. It helps women develop and restore family ties that have withered under the pressures of modern life in the context of confident and fulfilling lives. RAHAB (Removing All Hurt And Abuse) is a Community Group set up to reach out to women who are victims of domestic violence and abuse. It is run by volunteers and helps women by giving them a chance to express themselves and by providing practical advice on how to rebuild their lives and their families. For further information please contact the UCKG HelpCentre Press Officer via e-mail on press@uckgnew.org and 020 7686 6033.